On Air Fest drew standing room only crowds at The Wythe Hotel in Brooklyn this past weekend. 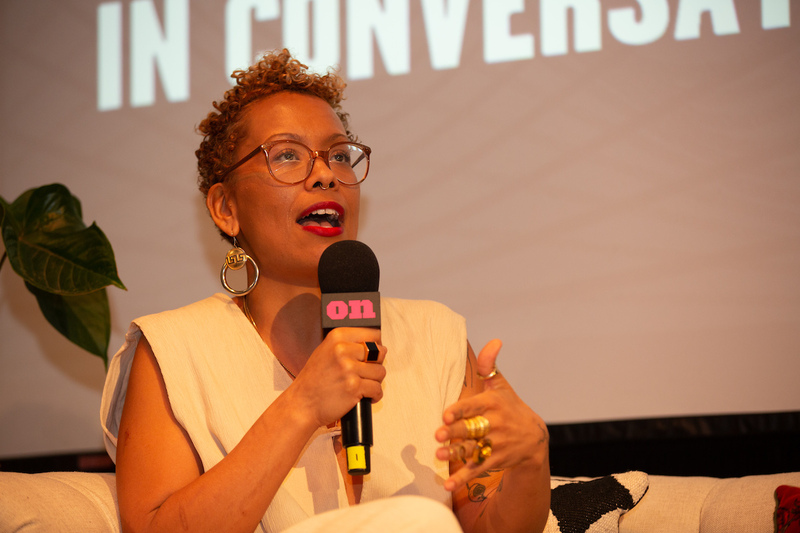 Highlights included the first public talk with executives from Spotify and Gimlet and sessions with Roxane Gay, Radiolab’s Jad Abumrad, Tina Brown, Jenna Wortham, and Amber Tamblyn. The Verge (”Spotify’s Grand Plan for Podcasts is Taking Shape”). Fast Company (”Why Podcasts Fans Will Always Reject ‘Netflix for Podcasts’”), Forbes (”Lessons Learned About Podcasting and Life From Last Weekend’s On Air Fest”), Book Riot (”18 Things I Learned About Roxane Gay at On Air Fest”), and Bklyner (”Preserving the Sounds of Brooklyn at On Air Fest”).